Imagine if there was a way to create dozens of new jobs, for hard-to-employ citizens with autism and related disabilities over the next 18 months and the solution to do that was right in front of you today? We believe with all our heart that we have a way to do that! We are addressing a multitude of social, economic and environmental issues, but most importantly, the problem looming in the hearts and minds of all parents with disabled children… JOBS. Hundreds of people from across America believe that the partnership between LetUsConnect, Arthur & Friends and Family Resource Network is an exceptional example of how untapped potential in the private sector can make an important contribution to job creation. Many have literally begged us to reach out to potential funders to explain the scope of our work, the growing demand for what we do, and the opportunities it presents for job growth, food security, training for marginalized populations and a dozen of other critical issues we are facing nationally, and in fact globally. 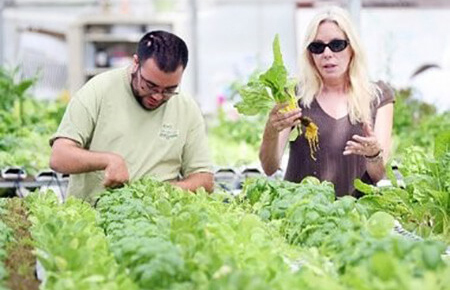 LetUsConnect is also in the process of building a Greenhouse research park to support autism employment.